The KORONO illuminated planter is a combination of modernity and exceptional style, which makes it a top-of-the-line model. The product can be described as original and outstanding and these are features worth opting for. The planter has got a false bottom at a height of two thirds, so it can hold even large ornamental plants, flowers or shrubs. The illumination is located under the false bottom. It can be easily reached by unscrewing the light clamping located in the bottom of the planter. The planter can be used both as a decorative element and a source of light. 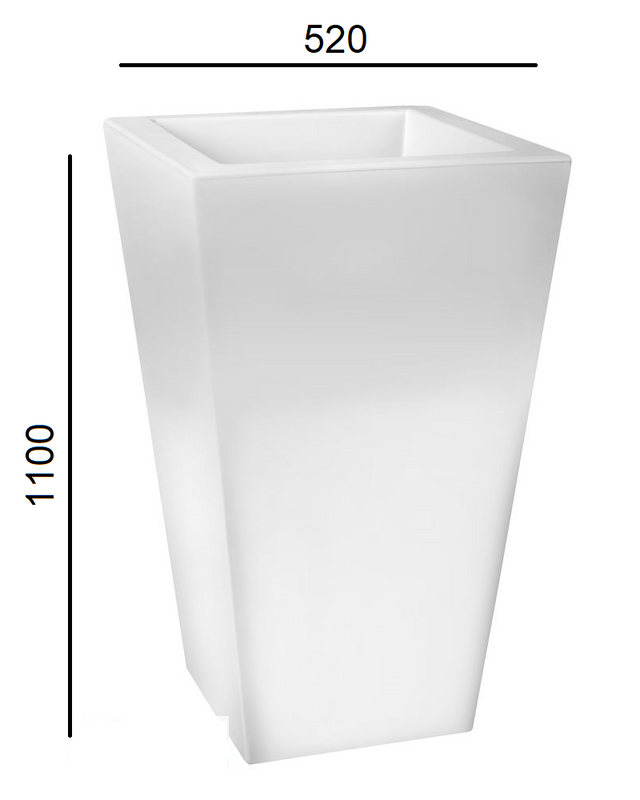 Consequently, the planter will present itself ideally not only in a garden but also in a flat. The shape of the illuminated planter will create a remarkable atmosphere at any place. The product’s stability and shape are its great advantages, which let us relocate the planter to a new place without any problem. 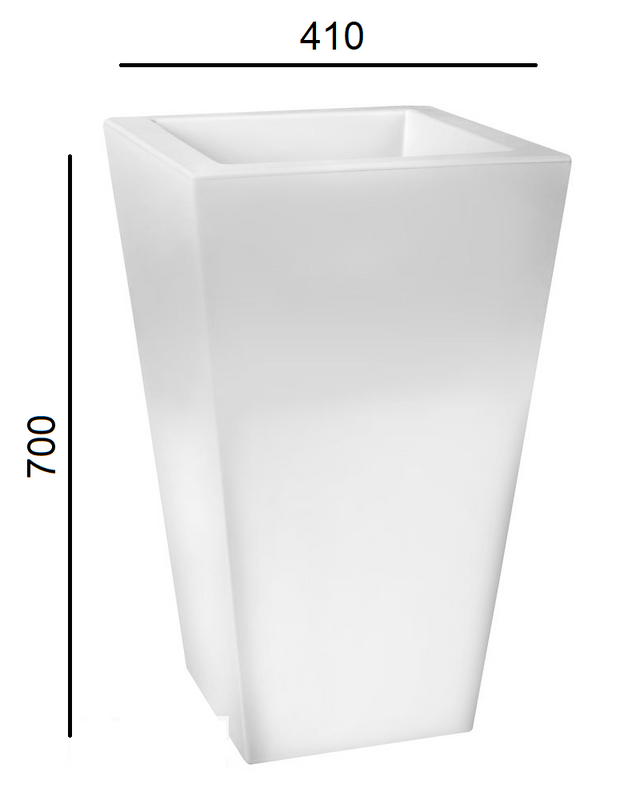 Top-quality polyethylene has been used to produce the planter. The material is weather-resistant. The resistance reaches from -30 °C to +60 °C. The planter is also uv-resistant.